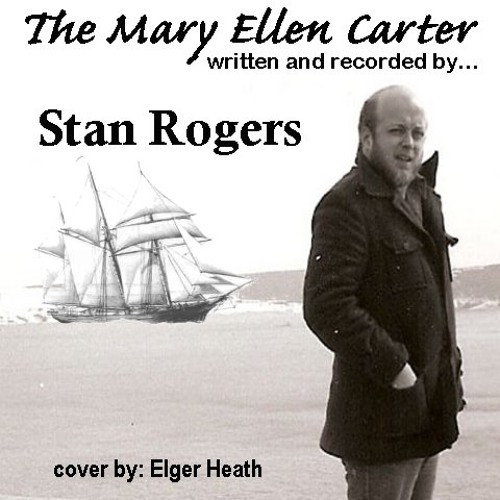 'The Mary Ellen Carter', released in 1979, tells the story of the heroic efforts of a crew to raise their sunken ship. So inspiring is the song that it is credited with saving at least one life. On February 12, 1983 the ship Marine Electric was carrying a load of coal from Norfolk, Virginia to a power station in Somerset, Massachusetts. The worst storm in forty years blew up that night and the ship sank at about four o'clock in the morning on the 13th. The ship's chief mate, 59-year-old Robert M. "Bob" Cusick, was trapped under the deck house as the ship went down. His snorkeling experience helped him avoid panic and swim to the surface, but he had to spend the night alone, up to his neck in water, clinging to a partially deflated lifeboat, and in water barely above freezing and air much colder. Huge waves washed over him, and each time he was not sure that he would ever reach the surface again to breathe. Battling hypothermia, he became tempted to allow himself to fall unconscious and let go of the lifeboat. Just then he remembered the words to the song "The Mary Ellen Carter". Or life about to end. He started to sing it and soon was alternately shouting out "Rise again, rise again" and holding his breath as the waves washed over him. At seven o'clock that morning a Coast Guard helicopter spotted him and pulled him to safety. Only two men of the other thirty-three that had been aboard survived the wreck. After his ordeal, Cusick wrote a letter to Stan Rogers telling him what had happened and how the song helped save his life. In response, Cusick was invited to attend what turned out to be the second-to-last concert Rogers ever performed. Cusick told his story in the documentary about Rogers, One Warm Line.